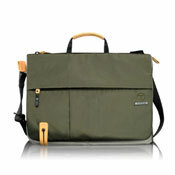 B for Bag offers extensive range of laptop bags and briefcases from some of the largest on-line retailers. You can search for your ideal laptop computer bag by brand, merchant and price range by using the filters at the top of each category, or use the product search if you know the product name you are looking for. 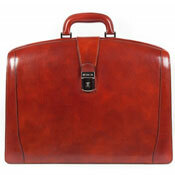 The traditional laptop bag is hand held, with the option of carrying on the shoulder, e.g. when heavy. These types of laptop cases are still very popular by business people and students that do not have to carry their laptop computer bag long distances. 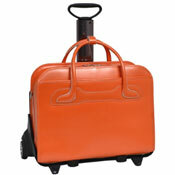 Frequent travelers tend to prefer wheeled laptop bags. The wheeling system adds a little bit to the weight of the actual laptop case but it does not matter much if you are mainly wheeling it, e.g. through busy airports or train stations. You can even find spinner laptops these days but nothing beats spinners in maneuverability. 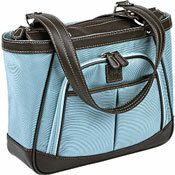 Laptop messenger bags are stylish and popular by young city dwellers of both sexes. Some cyclists also prefer messengers to backpacks. The main benefit of laptop messenger bag (over backpack) is that is easier to place and remove items from the bag as you can easily shift it to the side of the body, i.e. you do not have to take it off and put it back on like you would have to with backpack. Laptop backpacks are still very popular among people of both sexes and all ages. They are especially popular by leisure travelers. 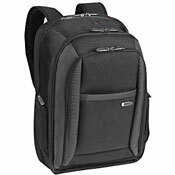 Laptop backpacks securely protect your valuable laptop but most have amble space for other personal belongings, which can be very handy when travelling. 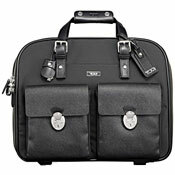 Laptop briefcases are popular among business people and students. You can get traditional looking briefcases where you can fit in a laptop, as well as wheeled briefcases for those that like to be able to wheel it around. 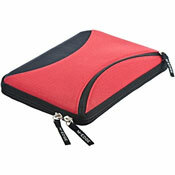 Laptop sleeves and covers protect your laptop or tablet from daily wear and tear when out and about. Laptop covers can offer suitable protection when taking your laptop out, e.g. if going to a meeting by car or within a short walking distance. Some put their laptop in a sleeve before storing it in their laptop computer bag, e.g. when flying. You can also get covers and inserts for your other electrics, like your tablet and eBook reader. 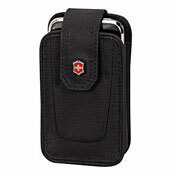 Phone cases protect your phone when not in use. You can find phone cases to fit any phone and any personality.